Hanson Boxes – your online plastic packaging partner. 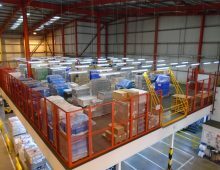 Offering a wide range of plastic boxes, stackable containers, stack nest containers, attached lid containers, bins, trays, pallet boxes, dollies and pallets from stock. Our products are available in various sizes and colours and are suitable for both industrial and domestic use. They can be used for numerous applications, including but not limited to, food and catering, warehouse, retail, manufacturing, education, health care and waste management. Based out of our secure, 24hour operation, warehouse facility in Huddersfield, West Yorkshire, we offer same day despatch for orders placed before 3pm.